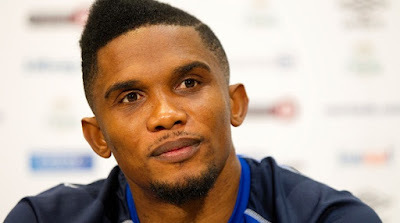 Spanish prosecutors have asked that Cameroonian football great Samuel Eto’o be handed a 10-year jail sentence and pay a 14.3-million-euro ($15 million) fine for alleged tax fraud, a court filing revealed Thursday. They allege that Eto’o now at Antalyaspor in Turkey set up front companies to avoid paying taxes from 2006 to 2009, when he was a striker at Barcelona before leaving for Inter Milan. The fraud, they say, amounts to some 3.9 million euros. “The footballer pretended he had ceded his rights to two other companies in Hungary and Spain so as to fraudulently avoid paying taxes,” they added in accusations seen by AFP calling for Eto’o to be tried. Prosecutors estimate the footballer, a four-time former African Player of the Year, should reimburse the alleged fraud to tax authorities plus interest, and pay a 14.3-million-euro fine. They want a prison sentence of 18 months for the 2006 fraud, and then three years jail for each subsequent year until 2009. Eto’o is not the only FC Barcelona player to be accused of tax fraud. Argentine superstar Lionel Messi, fellow countryman Javier Mascherano, as well as Brazil’s Adriano and Chile’s Alexis Sanchez, have been subject to similar allegations linked to image rights.